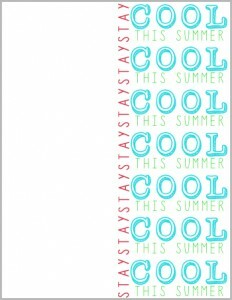 FREE Summer printables! 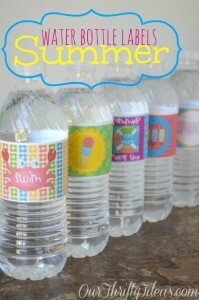 These fun printables are the perfect way to celebrate the end of school and beginning of summer! 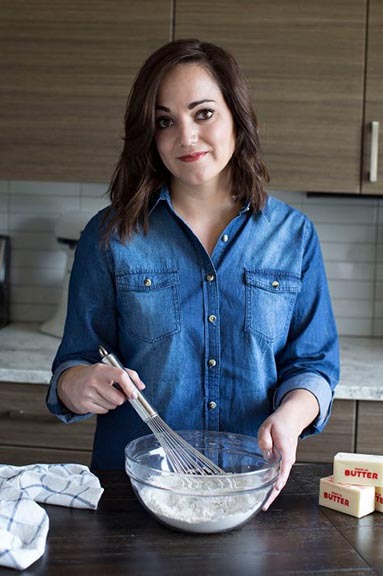 Hey all, I’m Vanessa from Our Thrifty Ideas. I will be sharing a bunch of my ideas and free printables with you guys. 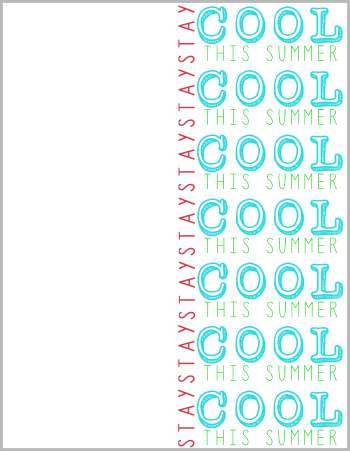 Starting with today’s printable – Stay COOL this Summer! With the school year coming to a quick end for most, I have been sharing some great gift ideas that your kids can give to their friends. They have all been $1 or less and with just a quick attachment of a printable it makes it a little extra special. I saved one of my favorites to share with you guys. 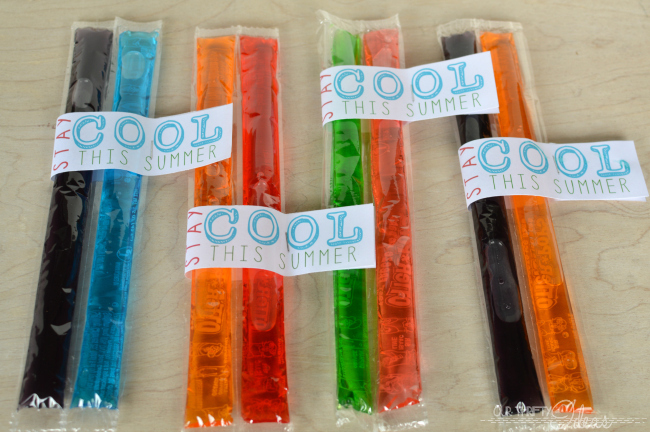 You can use any style of popsicles, but I love the otter pops best because you can give them as a liquid and the kids can take them home to freeze them. That way you don’t have to worry about keeping them cold or having them melt before they are given out. It’s also super easy to fold the printable across 2 of them and staple in place. A quick and cheap gift in just seconds. You can also use this fun printable as a party favor or a treat at an end of the school year party. 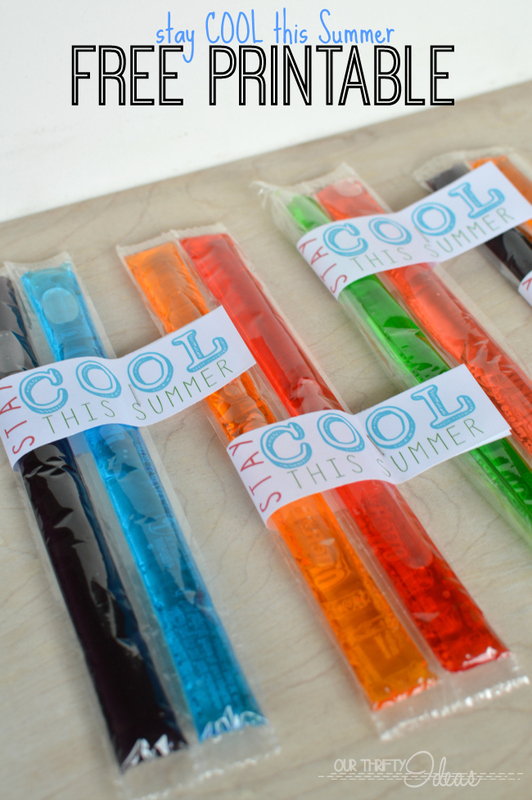 I know so many kids that would love to be invited to a neighborhood or friends water party on the final day of the year, and then be given frozen popsicles with these cute tags attached to them. You and your kids would be the highlight of the Summer! The printable comes with 7 on a page. You can download the printable here. Would your kids enjoy giving this as a gift to their friends? 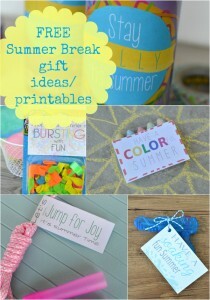 Make sure to check out a few of the other printables and Summer ideas I have shared on my blog. What a cute idea! This would be so fun to hand out to my son’s friends the last day of school. 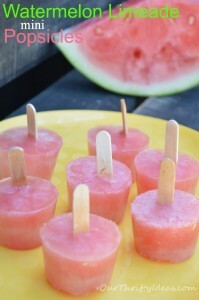 These are adorable and could be used anytime in the summer! Thanks! These are adorable! I love how inexpensive these would be to give to a whole class, or more! 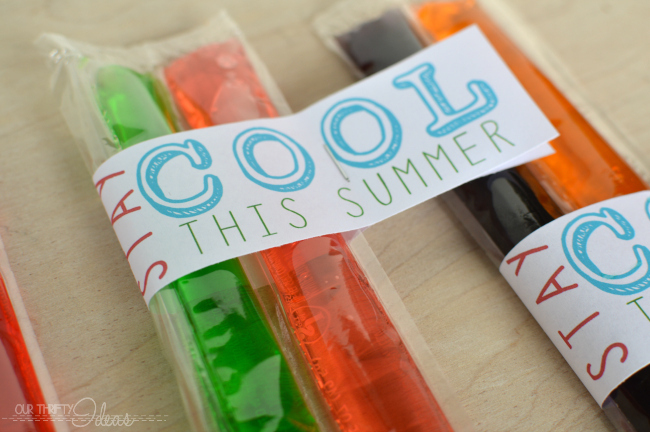 What a sweet treat to give to friends this summer! Thanks for sharing! So simple, but so cute! Love it. Cute and simple! I would love to print the tags, but the page is blank when I click on the link. I ALWAYS have problems with this sort of stuff. Is it just me? Any help? Hey Chris, sorry you are having trouble with it. Try this direct link – https://app.box.com/s/2ca0e21me89bdm98v3k5 It’s pulling up fine for me. Let me know if it doesn’t work and I could always email you a copy. Email me vanessa @ OurThriftyIdeas.com if you have any other problems. Like Vanessa said, I just tried pulling it up and worked out ok. If you keep having problems let me know and I can email you the file. Thanks Jesseca! Vanessa emailed me the file already. I really appreciate the speedy responses from the both of you.